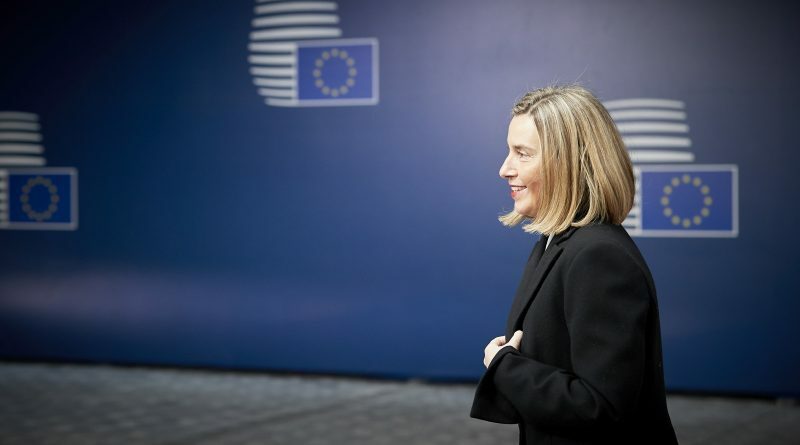 When the Permanent Structured Cooperation (PESCO) agreement was signed last November, Federica Mogherini hailed it as “historic”. Jean-Claude Juncker referred to PESCO as the “sleeping beauty” of the Lisbon Treaty, and many have described it as the first step towards an EU army. Yet a lot remains to be done for PESCO to truly have an impact on the European defense landscape. 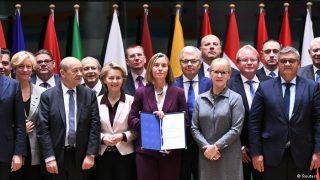 This article aims to provide a brief overview of the agreement’s potential in general, as well as the positions and potential contributions to European defense of some of the most important stakeholders. Federica Mogherini with EU defense and foreign ministers after signing the PESCO agreement. As already stated, PESCO has been widely praised as a big step for European defense, but some have also doubted its effectiveness. While France wanted the framework to be ambitious and therefore exclusive, admitting only countries with certain military capabilities and willing to make strong commitments, Germany has pushed for a more inclusive approach. This has resulted in states being able to enter PESCO on the basis of promises to achieve certain goals in the future. However, the wording in the treaty with regards to these commitments is often very vague (“Commit to considering” and “Commit to ensure increasing efforts” are phrases used). What’s more, there is no compulsory process for the review of progress made, and no effective tool to enforce these commitments. The framework as a whole is therefore not very well suited to deliver the progress it promises. In addition to that, individual member states might also inhibit progress. Emmanuel Macron’s France is currently probably the most ambitious EU member state with regards to reform and was one of the main driving forces behind PESCO. As already mentioned, Paris sought a truly ambitious military cooperation agreement, therefore making progress a priority, even at the risk of being divisive and alienating some EU members. This also explains why France is looking to continue military integration outside of the EU’s structures. The centerpiece of this is the European Intervention Initiative (EII), a more nimble framework where European states that are willing and able can work together on military action. It seems therefore that France will be a reliable partner for those who seek true change from PESCO. However, French leadership in this matter may also come with some caveats. Firstly, as already mentioned, Macron often strikes a divisive tone. Secondly, France’s historic emphasis on strategic autonomy, the diversification of defense cooperation formats, as well as its troubled history with NATO will not help reassure those member states who remain more attached to security guarantees provided by the Atlantic Alliance. Despite these concerns, the potential disappointment that could come from PESCO’s second driving force, Germany, seems to be bigger. It has already been said that it was Germany who wanted PESCO to be more inclusive, at the cost of watering the agreement down. This is not where the disagreements with France end. The two countries have very different strategic cultures. 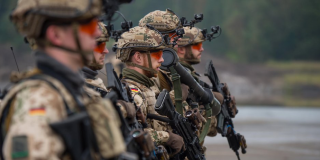 Due to its history, Germany has always been extremely timid about investment in its military or deployment of troops abroad, whereas France has had a more proactive approach. These differences mean that there could be hiccups when trying to define European defense operations in the future. It should however also be noted that Germany has slowly become more proactive, first with the deployment of troops in Afghanistan and most recently by cooperating with French troops in the Sahel region. Another concern is of purely military nature. Reports show that the German armed forces are currently in a rather sorry state and have very limited capabilities. Decades of reluctance to make investments have left the military not combat-ready. Recent years have seen efforts to change that, but refurbishments of old equipment and all major acquisition programs are behind schedule. Procedures and regulations are inefficient, and the procurement process has serious flaws. One example that illustrates the gravity of the situation is that since October 2017 and at least until May 2018, none of Germany’s six Type 212A submarines are operational. If these factors persist, then de facto Germany will have little to offer to partners who seek collaboration and integration, which could become a major impediment for progress. Soldiers of the German Bundeswehr. 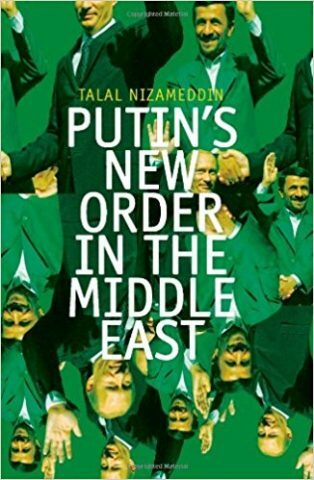 It will be hard to address the above problems without mobilizing public support for the needed measures, since, due to the aforementioned history and strategic culture, pacifism still runs deep within the electorate. Yet it doesn’t look like the federal government is taking steps to address this. Tellingly, foreign policy was ignored during the 2017 federal election campaign. Overall, it is therefore uncertain whether Germany will be able to take on the role it needs to in order to make PESCO a success. Another potentially important player in European defense cooperation is Italy. Italy has historically been a steady supporter of European defense, considering such a project to be in line with its national interests. It is also thought that European defense would make national security efforts more effective and allow Italian defense companies to enjoy larger public investments and greater industrial synergies. What’s more, the idea of a joint European defense effort enjoys substantial support from the public and the political establishment. This support for European defense is corroborated by Italy’s proactivity in PESCO projects. It has taken the lead in four different projects, a number that only Germany can match. It is also a participant in 12 additional projects, which together with Spain again makes it the country with the most total participations. However, Italy’s current political situation has many doubt that it will be able to make a real impact on driving defense integration forward in the future. For as long as Italy doesn’t have a government, no decisive action can be taken, and since the next government will likely contain at least one of the anti-establishment parties, it is uncertain what position Italy will take on such issues in the future. It is also uncertain whether Italian defense companies will be able to get their foot in the door on some of the joint development projects that might be launched (and have already been launched). Not being able to do so would further reduce Italy’s importance in European defense matters. Apart from these rather big players, there are also several smaller states that could derail PESCO. 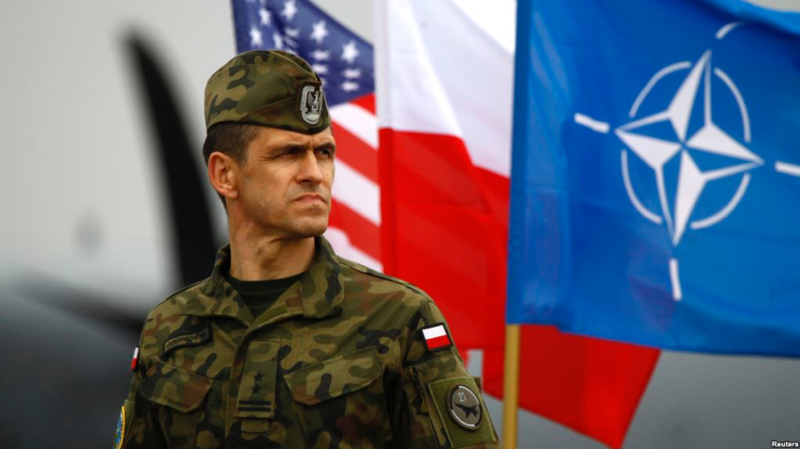 Countries such as the Baltic states and Poland have traditionally been opposed to European defense integration and have favored collaboration on the NATO level. Now they have joined PESCO. This is relevant because they might act as a brake on any initiative move the project forward in a significant manner. In fact, Poland quite explicitly joined for the sole purpose of slowing the undertaking down. Polish soldier standing in front of US, Polish and NATO flags. Finally, consideration has to be given to external players, namely NATO and the United States. 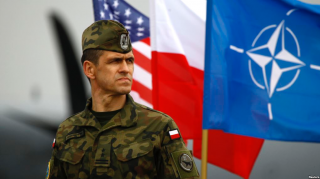 NATO and the US fear that PESCO will do nothing but duplicate NATO’s command structure and draw resources away from the Alliance. There is also some worry that PESCO might develop an agenda that contradicts NATO’s, meaning that states that are members of both would end up with conflicting requirements from the two organizations. Yet in another scenario increased defense cooperation through PESCO could contribute to strengthening NATO. Whether NATO and the US will be an obstacle to PESCO will therefore depend on how it develops. In the case of the United States there is also the fear that European collaboration on development and procurement will result in greater protectionism of European defense industries, therefore hurting American business interests. The extent to which this will be a problem for PESCO as a whole depends on how the US government goes about addressing this issue. It could try to simply channel the project in a direction more favorable to the US, or it could opt for outright opposition. It is also not certain which of these approaches would actually hold PESCO back more, as outright opposition might backfire and lead to even more integration. Overall, despite the lavish praise that PESCO has received, many factors suggest that at the very least the project still has to overcome many obstacles before it becomes the historic thing some want it to be. Its structure doesn’t bode well for an ambitious implementation in the first place, and France’s leadership can only go so far. It is also unclear as to how much Germany or Italy can drive the project forward, and some members will even try to actively slow the project down. Finally, external partners like NATO and the US might also try and prevent PESCO from becoming too ambitious. Jean-Claude Juncker’s “sleeping beauty” is not fully awake yet.